Alternative dispute resolution, or “ADR” as it is sometimes abbreviated, refers to any method of resolving disputes other than by litigation; these methods most commonly include arbitration and mediation. With the rising costs of litigation and the natural delays of our court system, some cases may be well suited to settle through alternative dispute resolution methods. The greatest benefit to alternative dispute resolution is that it allows the parties to have the greatest control of the process and the solution. Our attorneys are experienced in the different ADR methods, they analyze whether such methods would be beneficial for our clients case and, where appropriate, they stand ready to resolve our clients’ cases through such ADR methods. 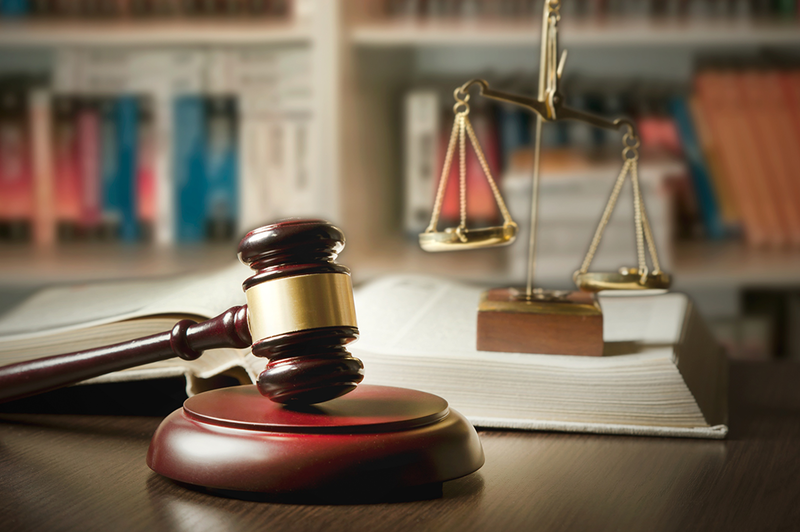 Our attorneys have experience in handling appeals in various Florida District Courts of Appeal. When the stakes are high, our clients have entrusted their cases with our team. Our attorneys’ superior researching, writing, and oral advocacy skills allow us to successfully represent our clients in appellate proceedings. Business torts are a by-product of today’s fast-paced economy. Business tort litigation often arises as a result of businesses trying to gain an unfair competitive advantage over another. Our attorneys are creative, knowledgeable about business, and capable of applying complicated facts into cognizable legal theories. We have experience representing companies throughout state and federal court systems in a variety of commercial disputes including, banking disputes, government contract disputes, unfair competition, breach of contract, fraud claims, and non-compete agreements. Our firm has extensive experience in resolving the issues that can arise during any point of a construction project. We have successfully represented our clients on all sides of construction-related litigation, whether a contractor, homeowner, business, condominium or otherwise. We advise corporate clients and individuals in the negotiation and drafting of contracts in a wide range of areas and transactions. Specifically, we have extensive experience in the preparation of agreements relating to the purchase and sale of real property, corporate assets, vessels, and companies. Moreover, our attorneys regularly advise clients in licensing agreements such as, trademark licensing agreements and copyright licensing agreements; strategic alliances and joint venture agreements; sales commission and referral agreements; employment agreements, non-compete, confidentiality and non-circumvention agreements; independent contractor and consulting agreements; and other commercial agreements involving, both, domestic and international transactions. Our lawyers have also advised clients in preparing agreements relating to the manufacture of goods, purchase of goods, distribution of goods, and other matters related to Article 2 of the U.C.C. Our firm represents domestic and international clients in copyright disputes. We have successfully represented television networks in the defense of their copyrights in a variety of works, including scripts and audiovisual works of a variety of soap operas and television shows including award-winning television shows. Our attorneys have advanced knowledge of copyright-ownership disputes and choice-of-law issues in copyright disputes. We routinely represent companies in the preparation of their corporate governance documents, such as articles of incorporation and bylaws, operating agreements, partnership agreements, shareholder agreements; asset and stock sale and purchase agreements; and any other documents affecting the the rights of members, holders and the management of companies. The firm’s experience representing our clients’ interests in a vast array of practice areas makes us particularly equipped to handle general litigation matters of any type. The development and protection of intellectual property rights plays an integral role in the success of companies. Our firm is ready to defend your intellectual property rights, whether acquired through prior use, or through registration of trademarks, copyrights, and patents. Our attorneys are experienced in the particulars of admiralty jurisdiction and the procedural rules associated therewith. We routinely represent owners of vessels, managers of vessels, and passengers in a variety of maritime disputes. We have handled cases related to disputes involving personal injury aboard a vessel, wrongful death of seamen, compensation for injuries and wrongful death of longshoremen and harbor workers as well as disputes arising out of injuries to passengers aboard vessels, including commercial cruise liners and personal vessels. We have also handled cases involving the arrest and seizure of a vessel for failure to pay necessities such as crew wages and bunkers. With the expense of litigation, we encourage our clients to reach amicable resolution to their disputes. Our attorneys have a wealth of experience in representing clients in the mediation of disputes, both, within and outside the confines of litigation. Additionally, our managing partner, Fernando S. Aran, is a Florida Certified Circuit Mediator. As a mediator, Mr. Aran is able to apply the knowledge and experience he has acquired throughout his legal career of over 30 years, which has proven to be an invaluable resource to attorneys and their clients. Mr. Aran will help litigants understand the strengths and weaknesses in their cases, and he will aid in identifying creative and workable resolutions in even the most complex of situations. Our firm represents victims of personal injuries, including catastrophic injuries, and wrongful deaths. Whether the injuries occurred as a result of boating accidents, automobile accidents, slip-and-fall incidents, professional negligence, or any other form of negligence, our attorneys are prepared to deliver results. We have successfully represented countless clients, and we are prepared to represent your interests. We represent clients in all areas of the real estate industry including purchasers, sellers, lenders, investors, financial institutions, developers, contractors, design professionals, consultants, realtors, and brokers. We understand that time is usually of the essence in real estate transactions; therefore, our attorneys and staff are responsive, attentive, and able to provide legal advice at a moments notice. We work together with our clients to prepare and structure effective documents and agreements to best serve and protect our clients’ short-term needs and long-term interests. Our lawyers have a wealth of experience in the representation of athletes and entertainment companies. We actively represent television broadcast network companies, television production companies, and distribution companies in all transactional business and litigation matters, including negotiation and preparation of contractual agreements, distribution agreements, licensing and assignment agreements, and defense of their intellectual property. Our attorneys also represent professional athletes in all aspects of their personal and professional lives, including in the purchase and sale of their homes, structuring of assets and their estate, defense of their image and likeness, general litigation matters. We have extensive experience on handling high profile matters under intense media scrutiny, and in reaching discreet resolutions for high profile athletes. In addition to legal representation, we have attorneys who are certified MLB player agents, who collectively have negotiated millions of dollars in MLB contracts. Our firm has represented an array of clients in the protection of their trademarks, ranging from leading electronic cigarette manufacturer, to a well-known local sports bar restaurant, to start-up companies trying to solidify the strength of their marks in the marketplace. Our attorneys are prepared to defend clients’ rights arising under the Lanham Act and common law, in federal and Florida state courts, and to litigate issues relating to licensing issues, trademark infringement, trade dress infringement, trademark dilution, and unfair competition. Disputes arising out of trust matters can be both physically and emotionally draining as often times the inner workings of the family are on display and lifelong familial relationships are at odds. Our firm is prepared to help you through the process and protect your interests in any type of trust dispute.